Rock It Texture Shampoo is rated 5.0 out of 5 by 2. 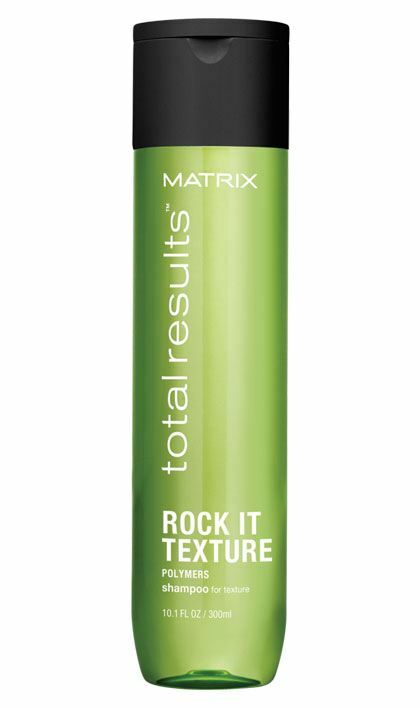 Share https://www.matrix.com/total-results/products/rock-it-texture/rock-it-texture-shampoo Rock It Texture Shampoohttps://www.matrix.com/~/media/matrix us media library/2017jan/2017trrefresh/tr_rockit_texture_shampoo_wt_420x708.jpg Cleanses to boost structure to short and wavy hair for style definition. Rock It Texture Shampoo with Polymers, helps boost structure to short and wavy hair for style definition*. Hair is structured and primed for lasting styles. To use: Apply to damp hair. Lather. Rinse. Follow with Rock It Texture Conditioner. In case of contact with eyes, rinse them immediately. Rated 5 out of 5 by Ballzofsteel from This shampoo is AHHHHMAAAZING!!!! I found this at TJ Maxx and bought it and makes my hair so soft and shiny. It gives it a very natural texture and nice body. I always try different shampoos but have never stuck with one. I am constantly buying this now and will never buy another kind of shampoo again! Rated 5 out of 5 by Barb22 from Makes my hair look nice. I bought it when I had a perm put in, and I have liked it ever since.